CHARLOTTE, N.C. — Prayer has returned to Charlotte’s city council meetings after confusion was cleared over whether or not city officials thought the practice should be discontinued due to a recent circuit court ruling. As previously reported, on Sept. 18, Mayor Jennifer Roberts announced during a city council meeting that the invocation would be discontinued upon the advice of City Attorney Bob Hagemann. She also sent an email to city council the following morning as she learned that some city council members didn’t actually agree with ending the prayer practice. “Last night, at the open portion of our dinner meeting, the council agreed to end the invocation for our meetings, based on Bob Hagemann’s advice and email regarding recent Fourth Circuit decisions,” Roberts wrote, according to the Charlotte Observer. Some city council members said that their silence during the meeting was misinterpreted as agreement. City Attorney Bob Hagemann also sent an email to Roberts and city council stating that he did not necessarily advise them to discontinue their prayer practice. “Just to be clear, I have not concluded and have not advised that the council’s invocation practice is unconstitutional. And I did not advise you to end the practice,” he wrote. “In light of the Fourth Circuit’s decision in the Rowan County case …, there clearly are legal risks with invocation practices. Obviously, as I stated to you tonight, not providing invocations is 100 percent legally safe. But the Fourth Circuit did not hold that invocations at the beginning of a county commission or city council meeting are per se unconstitutional,” Hagemann said. Kay explained to WCNC-TV that Hagemann’s remark that not having an invocation would be “100 percent legally safe” was misinterpreted as being his recommendation to do away with the prayer. Therefore, on Monday, Hagemann explained to the council’s Governance and Accountability Committee that he believes the city’s practice is constitutional, but recommended that attendees not be asked to stand or join in the prayer, and that the person praying should not seek to convert anyone with his or her words. According to the Charlotte Observer, the prayer practice consequently resumed this past week, with Councilman Kenny Smith leading the invocation. Charlotte’s city council members take turns presenting prayers, and most invocations simply refer to God, while sometimes the name of Jesus is mentioned. Monday’s prayer referenced the Heavenly Father. 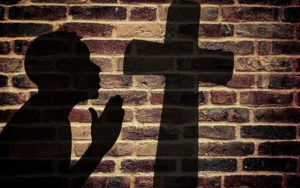 As previously reported, the Fourth Circuit ruling that sparked the discussion in the first place was the July decision in Lund v. Rowan County, in which the split federal court of appeals opined 10-5 that prayers presented during Rowan County’s commission meetings cannot be exclusively Christian. It said that representing only one faith at public-attended government events violates the Establishment Clause of the U.S. Constitution. Rowan County Commissioners unanimously decided on Monday to appeal the ruling to the U.S. Supreme Court.